On Koh Samui you can eat on every corner. It has countless restaurants and Thai kitchens. 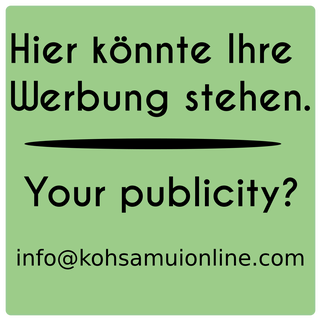 Completely famously in Koh Samui is the Walking Street. A big market, which takes place every day at another spot on the island. Monday is the walking street in Bangrak, near the seatran discovery pier. Tuesday and Wednesday is the walking street in Chaweng at the Central Festival Shopping Center. Thursday is the walking street in Maenam, in the China Town Road. 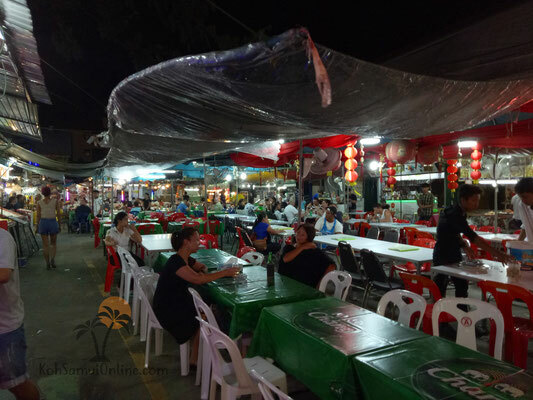 Friday is the walking street in Bophut, on the Fisherman Village. 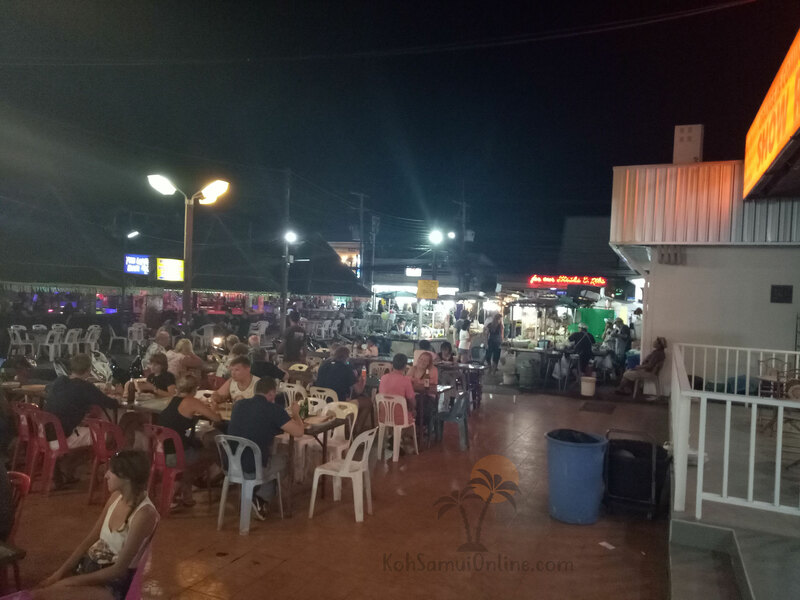 Sunday is the walking street in Lamai. 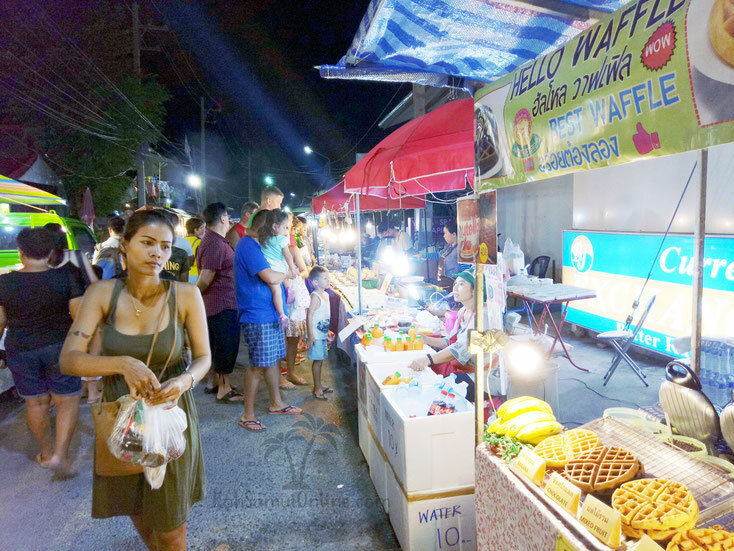 The Lamai Food market has opened daily, from morning to the evening. Here you will find everything, from vegetables to meat, fish and fruit. At the front entrance many small restaurants are offer typical Thaifood. 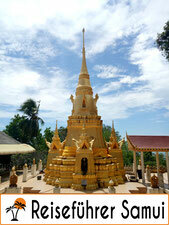 Here it also has unusual many Thai desserts which you should absolutely try. 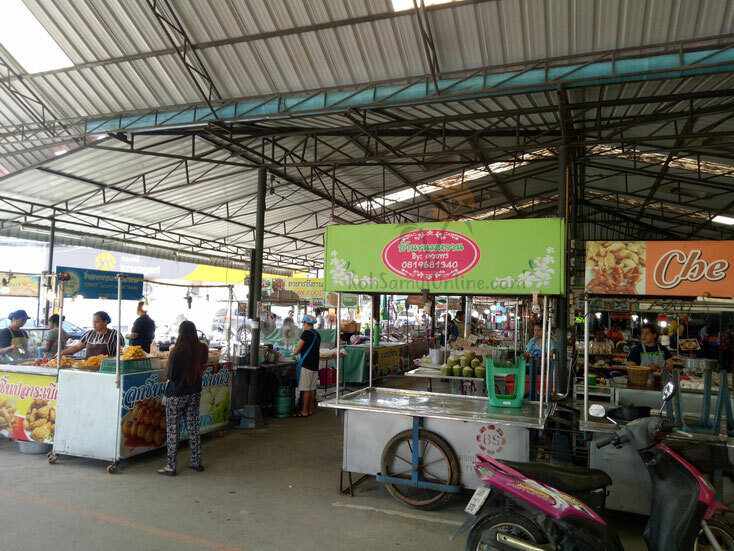 In the rear part of the Lamai Food market, fish and meat, up to vegetables and fruit become offered. It is worth to make a walk around it, you can make your own picture about other hygienic standards. 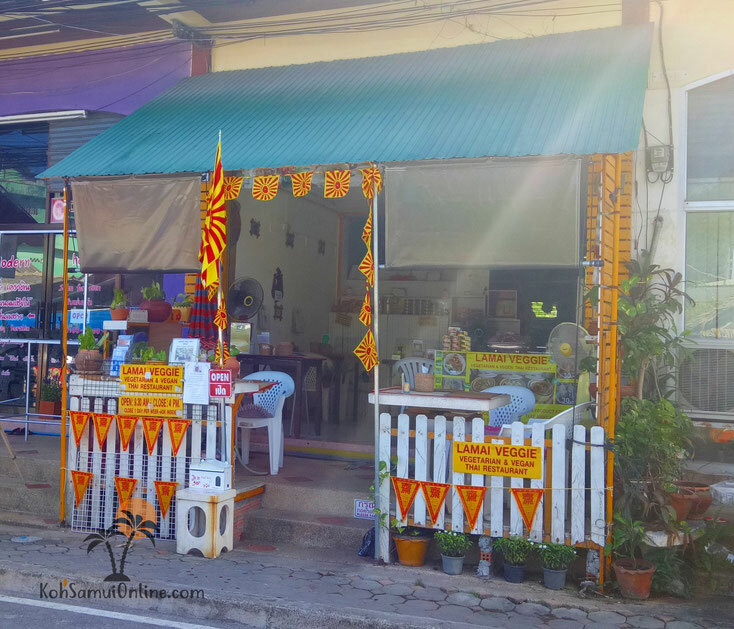 Here a small recommendation, a little shop that solds fresh soy milk. He opens always in the evening. Here you have the possibility to drink fresh and home-made soy milk. You will taste immediately the difference. Here also in price we lie with 10 Baht. In addition there are still grapes, maize and other what the soy milk refined. 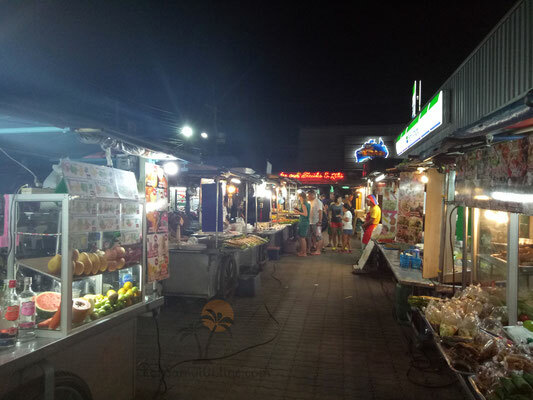 This market always opens in the evening. Here there is a small choice in restaurants. Typical quick Thaikitchen, but also western kitchen are prepared here. For example, you find fish with potatoes for 80 Baht or pizza from the Italian for 100 Baht. Of course also Thai, we are in Thailand. You can eat in for it intended to tables. The market is not really big. Besides there is the Ladyboxing, many lady's bars which try to get the attention with music and dance at the pole. 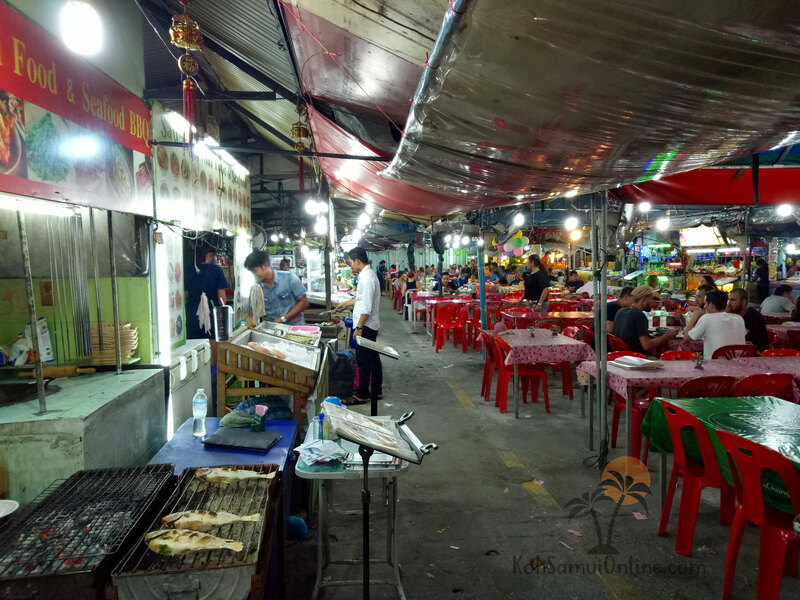 This Night Market in Chaweng opens as the name already says, in the evening. Here you also find everything possible in food. Thaifood, European kitchen and some Indians are involved also. Here for Chaweng the prices are in order. Because more and more people decide for Vegan food, I would like to introduce at this point a small vegan restaurant in Lamai. The woman cooks every day a vegan court, this means it gives always only one court per day and also only as long as is sold. Anyway well and freshly. Also in price completely in order.